Rituals […] produce the glue that holds societies together. […} Some of the most exciting new hypotheses about the role of ritual in creating social cohesion focus on the frequency and emotional intensity of collective rituals. 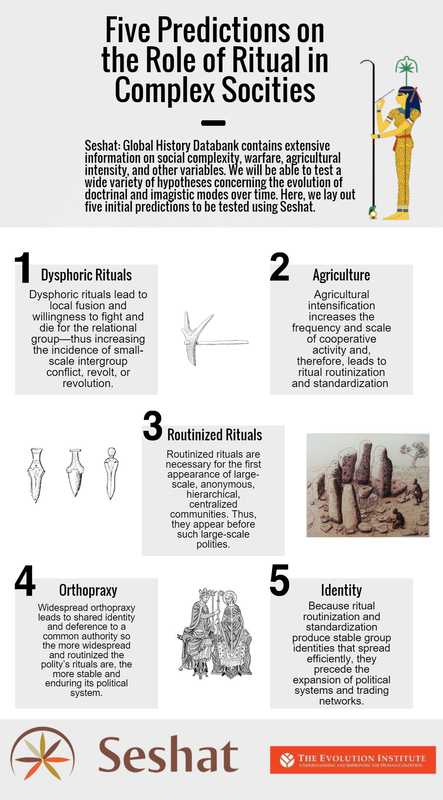 In The Role of Ritual in the Evolution of Social Complexity: Five predictions and a drum roll published on the Evolution Institute’s Social Evolution Forum, Whitehouse, Dr. Pieter Francois and Prof. Peter Turchin published a series of ritual-related predictions to be tested using the Seshat databank. While the Seshat databank is gearing up for analysis this spring, a recent PLOS ONE paper found evidence in support of at least one of these key predictions. 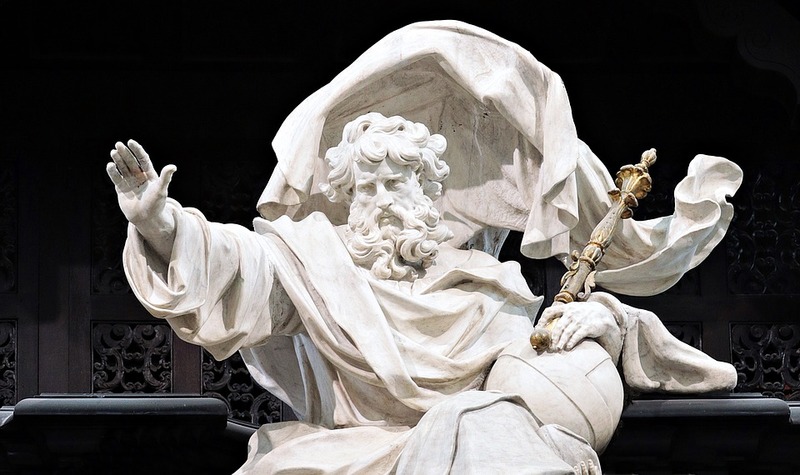 Whitehouse and his team at Oxford University found evidence in support of the prediction that dysphoric rituals produce societies marked by conflicts, rebellions, and military revolts (see my previous blog for more). The paper examined fan loyalty to football clubs and concluded that fans’ feelings towards their clubs are shaped by major losses (dysphoric events) as well as key wins (euphoric events). Whitehouse also published an article this past spring in the Pacific Standard on the connection between group tightness and extreme self-sacrifice. In it, he argued that an understanding of bonding through shared suffering gives policymakers valuable insights into violent extremism.